The 21-year-old neo-pro is the first leader of the race after his maiden World Tour victory of the season. 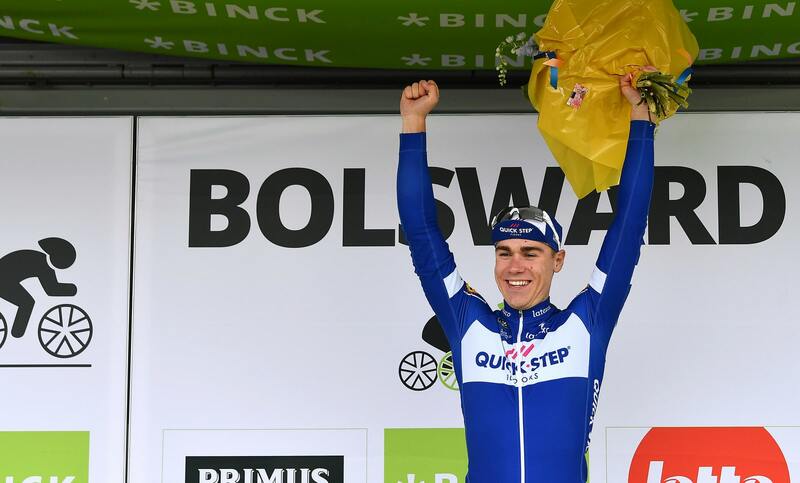 Quick-Step Floors continued to do what they know best – win races – on the opening day of the BinckBank Tour, which culminated in a bunch sprint after a crash-marred finale in Bolsward, where the race returned for the third time in four years. There, a combination of perfect lead-out, great positioning and impeccable sprint propelled Fabio Jakobsen to his fourth victory of the year, after the ones scored in Nokere Koerse, Scheldeprijs and Tour des Fjords, underlining the Dutchman’s reputation as one of the most impressive neo-pros of the year. “It’s my biggest victory since turning pro and I’m really proud of myself and the team, who put their confidence in me this morning and did a perfect job. We had bad weather and the peloton was really nervous as we approached the line, but the team was flawless and starting the race in this manner gives us great confidence”, said Fabio, whose win was made sweeter by the fact it came in his home country. Monday’s stage featured six men in the breakaway, who forged out a four-minute gap, before the sprinters’ teams took the initiative in the peloton and began the chase. 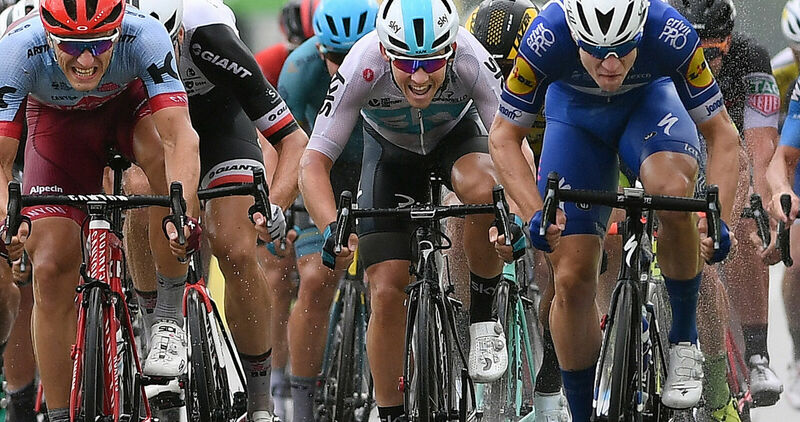 Tim Declercq played a major role in the leaders having their advantage trimmed and being brought back after the Golden Kilometer, as he tenaciously set a relentless pace at the head of the bunch, despite the pouring rain, cold temperatures and howling wind of Friesland. In the last kilometer, a crash disrupted the sprint trains of several teams, taking several riders to the ground, but fortunately, the Quick-Step Floors boys escaped unscathed and expertly brought Fabio Jakobsen to the front, who opened the sprint with 250 meters to go after a superb lead-out of Florian Sénéchal and fended off the efforts of Marcel Kittel (Katusha-Alpecin) and Caleb Ewan (Mitchelton-Scott), celebrating Quick-Step Floors’ 54th win of the year. The victory netted several visits to the podium for Fabio, who leads the overall standings and the points classification at the 14th BinckBank Tour; the 21-year-old – who was full of praise for his teammates after the stages – is confident the squad will build on today’s result.